Discussion in '"Boat Anchor" & Classic Equipment' started by VE3GZB, Nov 7, 2018. I’ve had my eyes on a 75A4 recently and then I learned of an R390-A for sale for about $100 difference. Both are in working order and haven’t been molested. I’m having difficulty choosing one and I only have space and finances for only one. If your primary interest is in the ham bands I'd recommend the A4. The 390 is a great receiver and I have both a 390 and an 390A, but they aren't what I consider daily drivers. By comparison they're a bit like driving a tank. N2EY and VE3GZB like this. With the R-390 series, the wrist, on the hand that you use for tuning the frequency, will be twice as large as the other wrist in a very short period of time! The R-390 series was designed to be used in situations where very little tuning around was required. Basically, put the receiver on frequency and then walk away. You can come back weeks later and the receiver will still be on the same frequency having not drifted more than a few Hz from where it was set. For general coverage and tuning around, the 51J- series / R-388 series is much better. Those receivers all cover from 500 kHz to 30.5 MHz in 30 separate 1 MHz ranges. They are very stable just like the R-390 series. But, they have a more conventional dial that is MUCH easier to turn. It is the same with the 75A-4. Moving the frequency dial knob requires considerably less effort. 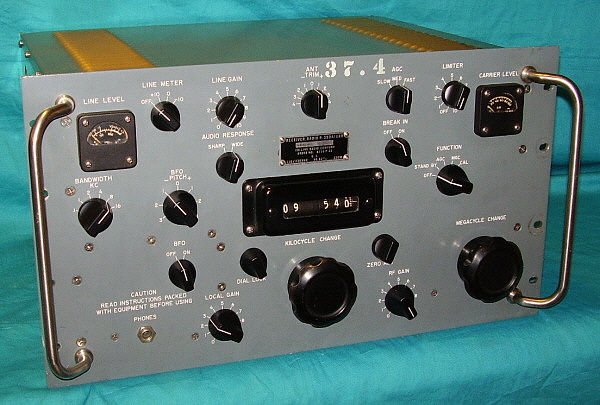 I do own a 75A-4 as well as the other "A" Line receivers and an R-388 (51J-3) and a 51J- 2. In the past, I have owned a R-390 and an R-390A. Both of those receivers were traded off in a relatively short period of time. If you want an amateur band receiver, get the 75A-4. Note that it doesn't cover the WARC bands but does cover 160. If you want a general-coverage receiver, the R-390A. Note that the R-390A is a lot more complicated. I've never seen one here in Britain, but I like how the 75A-4 looks . 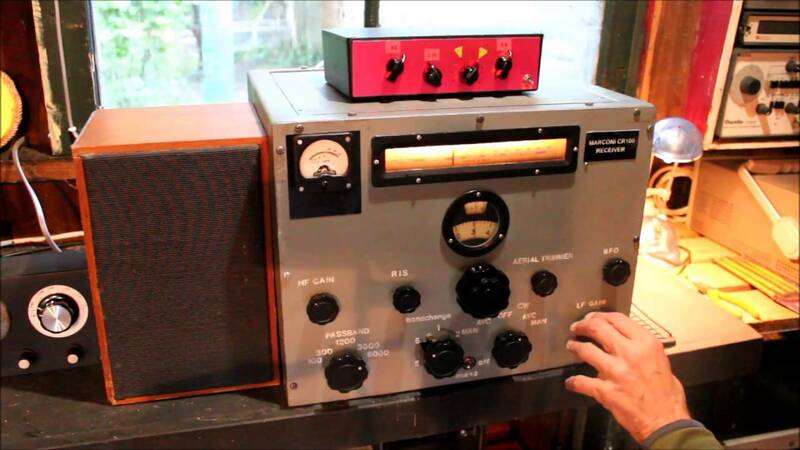 . .
Collins used the rotating dial drum from the 75A-2 onward. The 75A-2 design started in 1949. The Hunter Cyclemaster 20A transmitter, designed in 1947, used the rotating dial drum. The National HRO-50, designed in 1948 used a rotating dial drum. However, there were various receivers manufactured before World War II that had rotating dial drums. How the mechanism worked varied all over the place! Some had gears, some had dial strings, some, like the Collins, had a spring loaded mechanism. Possibly. And not just the "slide rule" dial, but the circular detail dial above the knob, and the symmetrical layout of the other knobs. Even has the meter in the same place! I'd pick the A4 for "hamming" also. R390A is a great receiver but too much work to "tune around." It was perfect for military comms where it would be set to one frequency and left there a long time before setting it on another frequency. I picked up an R390A from an Embassy station decades ago whose bandswitch I'm pretty sure had never been turned; they used it on "one frequency" 100% of the time, so even the PTO was likely almost never turned. Perfect for that!